The Ontario Cemetery or ‘CanadianCorner,’ as it is commonly known is a section of the graveyard at All Saints Church, Orpington. 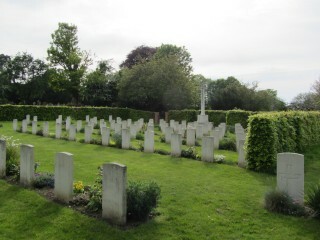 The Canadian General Hospital required a place in which to bury those soldiers who died there and a section of the graveyard extension at All Saints Church was set aside to be used as a burial ground. Among the staff of the military hospital was a Chaplain who would conduct services in both the recreation room and the on-site chapel. 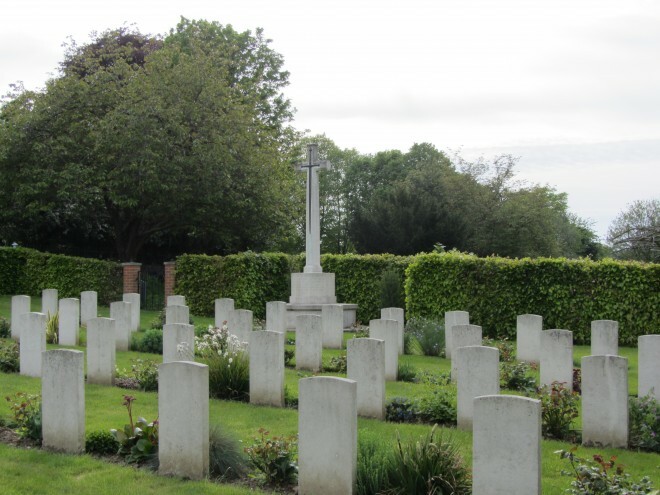 The first burials in the ‘Canadian Corner’ were made during July 1916 and the final First World War burial from the military hospital was made in September 1919. Not all of the burials in the ‘Canadian Corner’ are of Canadian soldiers. Of the 116 First World War burials, 88 were Canadian. The ‘Canadian Corner’ also includes the graves of Australian and British soldiers. Each grave records the name, rank, number, date of death and age of death of the fallen soldier. 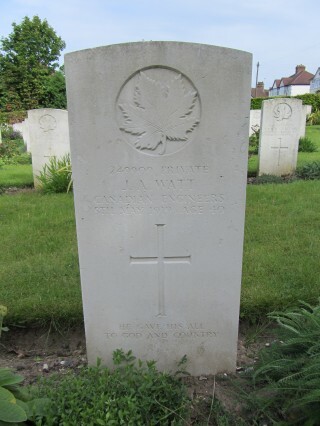 The Canadian graves are identifiable as those with a maple leaf engraved on the headstone. Nowadays, the ‘Canadian Corner’ is cared for by the Commonwealth War Graves Commission. The corner also includes a war memorial and a Garden of Remembrance. This page was added by Ian Grant on 01/07/2014.